Celebrating its 6th year, Miss World Philippines continues to bring excitement for pageant fans and make the effort to further promote the organization’s mission- "Beauty in Giving." 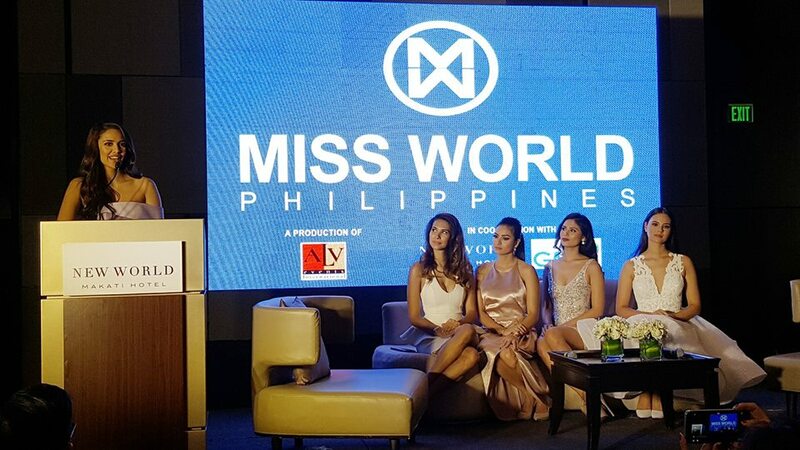 Miss World Organization had a media launch today July 7th, 2017 at the New World Makati Hotel. 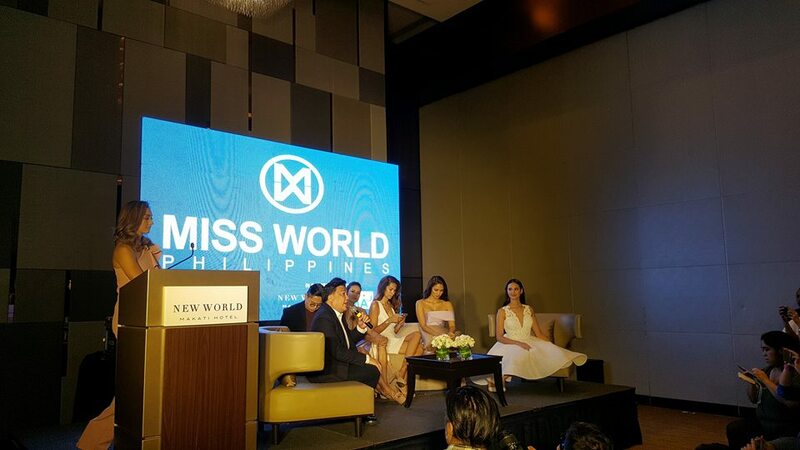 Present during the occasion were the new Miss World Philippines' National Director Arnold Vegafria, Miss World 2013 Megan Young, Miss World 2011 First Runner-Up Gwendoline Ruais, Miss World 2015 Top 10 Semi-finalist Hillarie Parungao, and reigning Miss World Philippines and Miss World 2016 Third Runner-Up Catriona Gray. 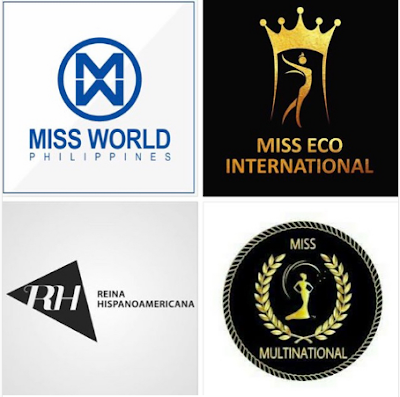 Previously known as Miss Eco Queen in 2015 and Miss Eco Universe in 2016, Miss Eco International was rebranded this year and has been successfully been hosted by Egypt for the third straight year. Amber Bernachi of Canada is the reigning Miss Eco International. Reina Hispanoamericana which began in 1991 as Reina Sudamericana (South American Queen), is based in Santa Cruz de la Sierra, Bolivia. This is the first time that an Asian country will participate in this Latin-based pageant. 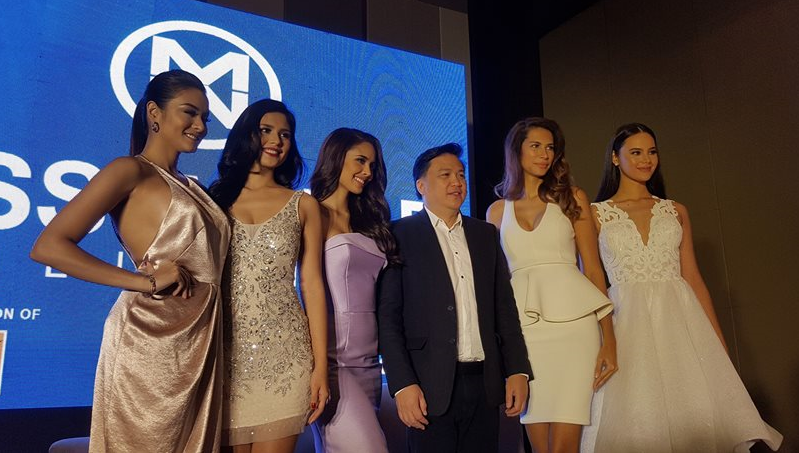 The Miss Multinational is an international beauty pageant run by the Miss Multinational Events Production Company based in Davao City and will be holding its first edition this year. Another unique trait of this year's edition is having a new crown which is designed by Philippines' first Miss World winner Megan Young! 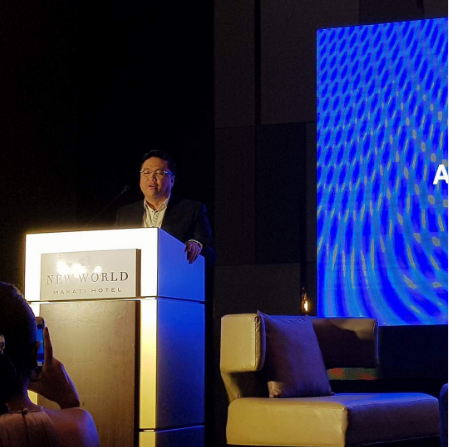 Aside from Miss World, Arnold Vegafria's team will also appoint the representative of the Philippines to the Mister World pageant which is held every two years. Plus, the organization will unveil its new theme song to be interpreted by country's R&B artists Jay-R and Kris Lawrence. Coronation night will be open to the public and will be held on September 3 at SM Mall of Asia Arena.